Robert and Anna recently had their one year anniversary! Congratulations! 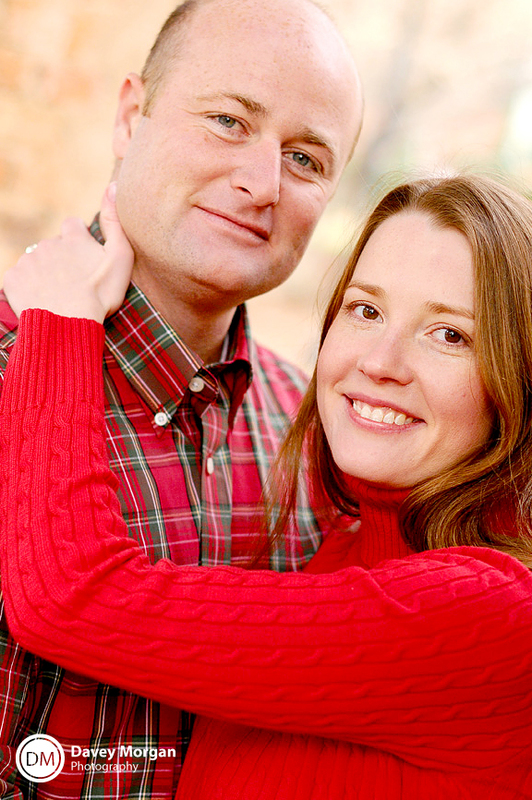 Robert and Anna recently moved to Greenville, SC from New Orleans. 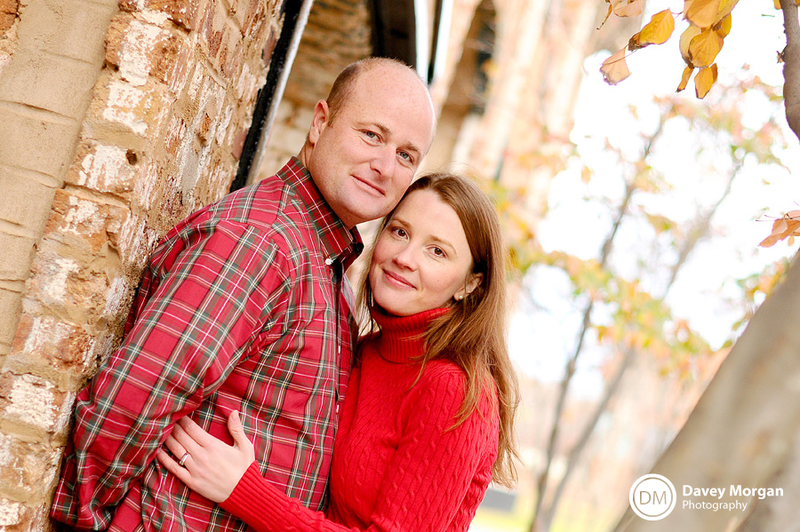 Robert is originally from Greenville, and Anna is originally from northwest Russia! She has a lovely Russian accent! Anna can speak three languages! She speaks English, Russian and Norwegian! She use to live in Norway! Robert is a professional landscaper! That sounds like a fun job! You get to combine art and science into one profession, a bit like photography! I love how Robert has hold of Anna! It’s very romantic and peaceful! They danced in an old mill in the park. Something about all the red and green makes me want hot cocoa by a fire! I love this picture, it reminds me of a secret romantic interlude. Anna and Robert love waterfalls! You can tell a little from all the layers they’re wearing it was a cold day, but you might be surprised how cold! It was 32°F! That’s freezing! Just before we met up I was thinking they’d probably want to reschedule for a warmer day, but they were all ready to take pictures then! They did an awesome job looking comfortable and not like little ice pops! Of course, Anna is used to cold weather, she said there were days when it was -30°C in Russia!! That’s cold! 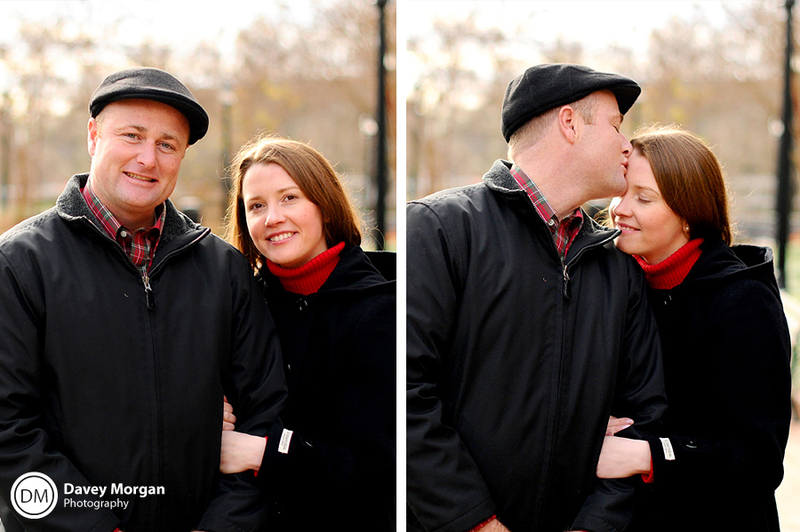 This entry was posted on Wednesday, December 16th, 2009 at 5:07 pm	and is filed under Couple. You can follow any responses to this entry through the RSS 2.0 feed. Both comments and pings are currently closed. I LOVE your photos of Robert and Anna!! I want our next photo shoot with you to be in this same spot downtown–it’s just such a beautiful complement to that couple. We sent our Christmas card out with the photo you took of us and have gotten so many rave reviews. Thanks, Davey!